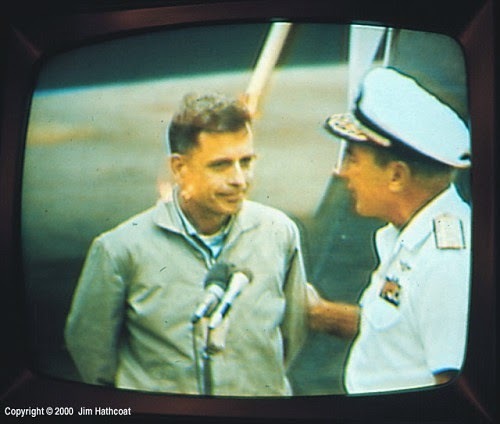 It was announced last Friday that Rear Admiral Jeremiah A Denton, US Navy (Retired), passed away peacefully in his sleep at the age of 89. Admiral Denton was also a former senator from Alabama, the first Republican to be freely elected from that state, in 1980, yet he mildly resisted being addressed thereafter as 'senator', averring that he was elected to be a senator but had earned his title as an Admiral. Denton is one who can make that assertion better than many others. Denton is best known for his resistance as a prisoner of war in North Viet Nam. He was shot down as a Commander and the CO of VA-75 flying an A-6A Intruder off of the USS Independence (CVA 62) in 1965 after attacking a target near Thanh Hoa. He and his bombardier/navigator Lt Bill Tschudy were captured, beaten and imprisoned in what became a series of POW camps and prisons. He was placed at the Hanoi Hilton, the Zoo, and Little Vegas but ended up at Alcatraz, reserved for prisoners who were particularly difficult for the North Vietnamese. Alcatraz was attached to the Ministry of Defense in Hanoi, and the North Vietnamese made sure that this was known to the Americans in order to guard the command center with the use of hostages. This is a gross violation of the Second Geneva Convention (1949), but the North Vietnamese actively sought to ignore the treaty, particularly the provisions forbidding "violence to life and person, in particular murder of all kinds, mutilation, cruel treatment and torture" as well as "outrages upon personal dignity, in particular, humiliating and degrading treatment." They declared quite openly that the Geneva Convention did not apply to the Americans since they were "pirates" fighting in an undeclared war. They said, however, that the prisoners would be treated humanely nonetheless, but that was a patent lie. Denton and Tschudy spent more than 7½ years as prisoners, more than four of that in solitary confinement in shackles, in windowless 4'×9' cells. Denton was beaten frequently with fists and fan belts and subjected to the 'rope trick', wherein his hands or arms were tied from behind and then he was hoisted and left to hang for prolonged periods. For the rest of his life he suffered from lack of feeling in his fingers and frequent muscle spasms. It was torture such as the rope trick, or being forced to sit on concrete blocks, high enough that his feet dangled, for hours on end that distinguished some of the North Vietnamese torture from the North Korean, in that the prisoners were placed in positions where they were essentially torturing themselves, a major psychological obstacle to resistance. Denton became famous in 1966 when he was brought out in front of television cameras to be questioned by a Japanese reporter. He first bowed to the reporter, a non-American gesture which he hoped would catch the eye of viewers at home. The key point of the interview was when he replied to the question about whether he supported the "so-called war" in Viet Nam. I don't know what is happening, but whatever the position of my government is, I support it fully. Whatever the position of my government, I believe in it, yes sir. I am a member of that government, and it is my job to support it, and I will as long as I live. After the interview, he was hauled away and subjected to some of the most brutal beatings that he endured. In the early morning hours, I prayed that I could keep my sanity until they released me. I couldn't even give in to their demands, because there were none. It was pure revenge. Denton had almost reached the breaking point one night in his cell, listening to the screams of another prisoner, when he received a reply to his prayers in the form of a verbal consolation. He went on to be a stalwart example and mentor to the other prisoners until his return with the first batch of prisoners in 1973 as the American portion of the war was winding down. Denton's fame increased when a US Navy officer, in reviewing the tape of his interview, saw that he was blinking in a pattern: – , – – – , . – . , – , . . – , . – . , . , spelling out the word "torture". This was the first independent confirmation the Americans had of torture in the prisons, and Denton's morse code blinking story was tightly classified, in order to prevent the press giving the story to the North Vietnamese, until after his return and the awarding of the Navy Cross in 1974 for the totality of his experience and leadership while a prisoner. 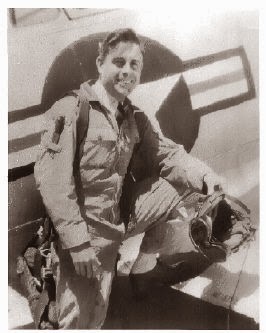 He also was awarded the Defense Distinguished Service Medal, the Navy Distinguished Service Medal, three Silver Stars and the Distinguished Flying Cross. An old military ditty speaks of certainty of being welcomed into heaven because of time already spent in hell. Admiral Denton certainly qualifies on that score.